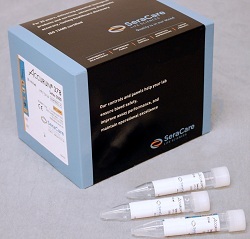 THE NEW HPV Genotype Qualification Panel from Seracare has been launched in response to rising demand for HPV (human papillomavirus) assay qualification. The panel is derived from cultured human cells containing full-length HPV DNA and includes the HPV 16 and HPV 18 genomes, which together account for an estimated 70 percent of all cases of the virus. Designed to support assay qualification alongside HPV test kits from Roche Molecular Diagnostics, Qiagen/digene, and Hologic, the panel is intended to provide laboratories with better confidence in assay performance, and to ensure consistency of results. It can also used for method comparison and reproducibility studies, and to monitor lot-to-lot variability. The SeraCare HPV Qualification Panel is available for purchase immediately worldwide.